28 Nov Content is king with Google. In order to be able to make or verfy a Google Plus Local page, you have to have a Google account. If you do not have one you can make one for free here https://accounts.google.com/SignUp. Then you will be able to make or verify a existing page. Once there you will be able to search for your business. Start by entering your businesses name and see if your business comes up in the search results. If it doesn’t, select “None Of These Match”. You can enter the necessary info and create your business page. 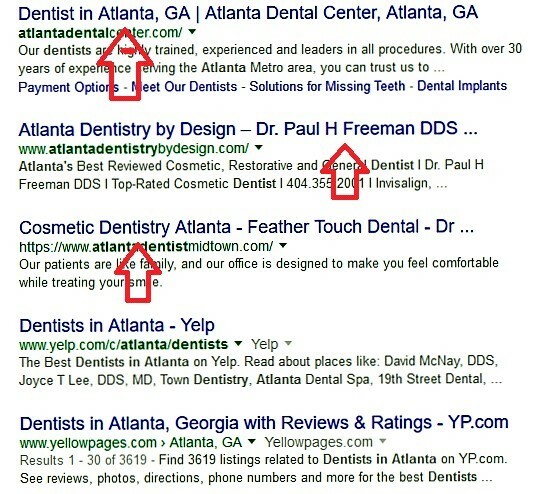 If your business comes up in the search results,click it. That will allow you to confirm your location by phone or mail. After setting up your page,it’s time to setup your business profile with as much information as possible. Write a description of your business and the services it provides. Here you can write anything you want, keep in mind what you write in the description will affect search results. Don’t keyword stuff but it will help to include some keywords that are related to your business. Be sure to include your industry and location. If you specialize in business law,masonry work or trimming trees be sure to include this so it will show up in the SERPS as well. your business even more legitmate in the eyes of Google. You have now entered the most important information. However,you still need to tune up your Google Plus Local page. For example,you can add a relevant profile picture,which shows up with your page. Click “Profile” in the menu. Then click the camera in the circle to the left of your information. Upload your company logo for instance. added to your website. If you cannot do it yourself , have your webmaster or web designer install the code. The most important factor to Local SEO, is your own website. website needs to reflect the service you provide, your location and where you are located. Below is summary of the parts your website will need. If you are unsure about anything, your programmer/webmaster to help you with changes. An important place to have both information about location and service/product,is in the “title tag” on the front page of your website. The title tag is the line you see at the top of the search results. Besides catching the eye, it is also determines in which search results your site will appear. your website and looking at what it says at the top of the browser. You can also write “site:yourwebaddress” in Google. Your “meta description” is the written under your title tag. You can define this yourself as well, for each page of your website. It’s an advantage to have both service and location appear in the header the (H1-tag) on your front page. This is also a significant indicator to Google. It doesn’t always make sense in a practical way, but if you can intertwine it in there,it is optimal if possible. If not,you can consider using location and service in one of the sub headers (H2tags). important, that the text still read naturally, since it’s mainly there for human users. So don’t over do it. NAP on your website, Google will link it with all the other websites where your information appears. Remember it is very important that your NAP is the same on every website. The best place to have your NAP is on the footer. It is also a good idea to have a “about us” or “contact” page. Citations are all the places where your company name,address or phone number are mentioned, without a link to your website present. Oftentimes, this is also refereed to as “mentions” in SEO speak. 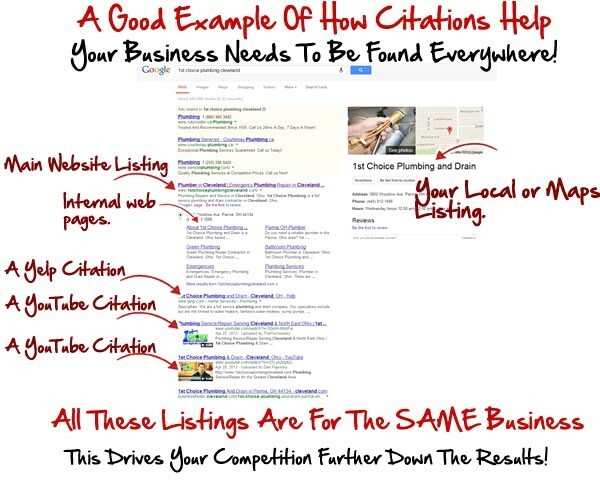 Citations are very important in connection with local SEO. Although they do not provide a direct link,they are still a important indicator to Google,when they calculate rankings for their search results. For this reason,it is worthwhile to spend time on citations,after establishing your other local SEO tactics and website optimization. Double check and make sure your NAP is the same on all Citations.